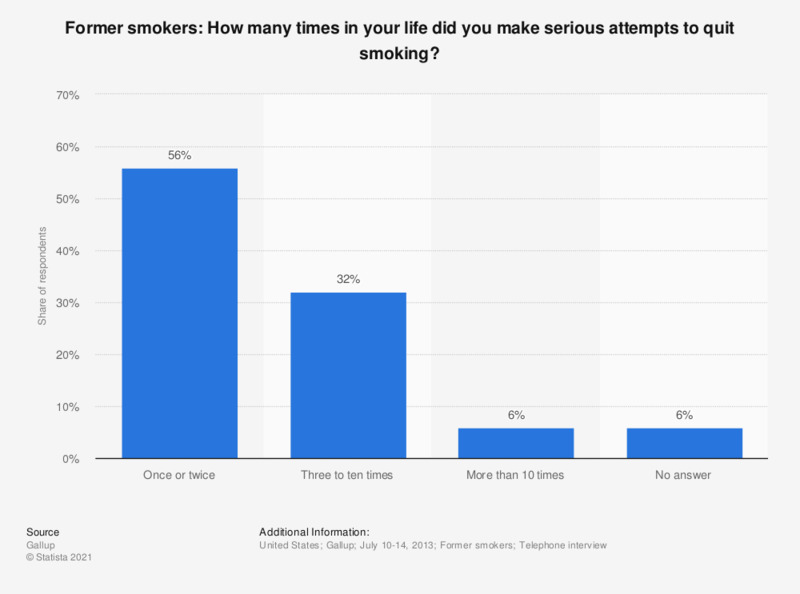 This statistic shows the results of a 2013 survey among adult American former smokers regarding the number of attempts they made to quit smoking during their lifetime. 56 percent of respondents stated they have tried to quit smoking once or twice. The source poses the question as follows: "How many different times in your life did you make serious attempts to quit smoking?"